A good four day weekend allows for a modest level of hobby time. Three more regiments of Editions Brokaw French marched off the table. 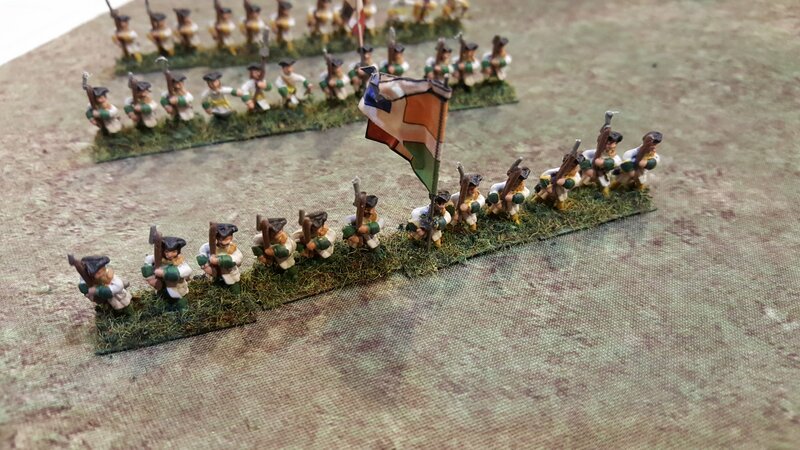 I have had these flags on poles without troops since last summer so got out the drill and gave these two units some colors. 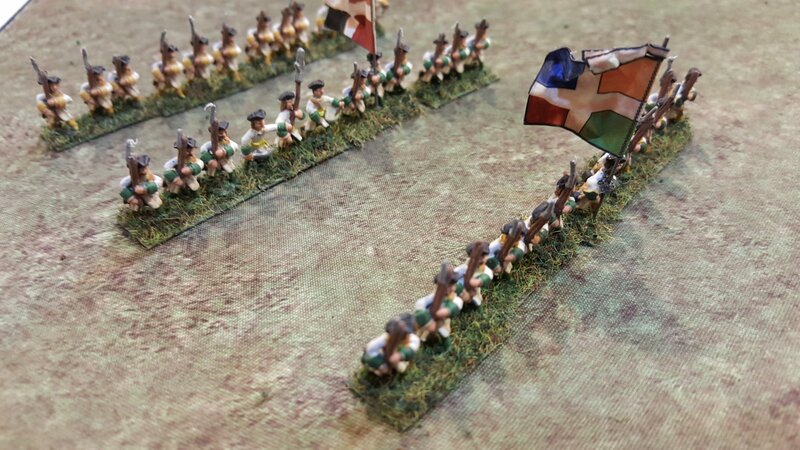 I like that the carrying of colors varied by battalion and squadron in the War – makes it easier to make do with command stands with no colors. No names battalions here but two with with green racing’s and one with a buff facing. We have been discussing the inspiring Vauban fort games we have seen around the blogs so definitely thinking of bumping up the fort painting on the priority list.